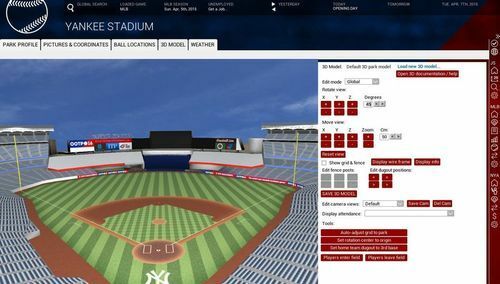 Out of the Park Baseball 16 maker #OutoftheParkDevelopments has secured the #MajorLeagueBaseball and Minor League Baseball #licenses, bringing real MLB teams and more to the game, the studio announced today. This will be the first game in the history of the venerated Out of the Park Baseball series, which debuted in 1999, to feature the names, logos and jerseys for real-life professional baseball clubs and leagues. 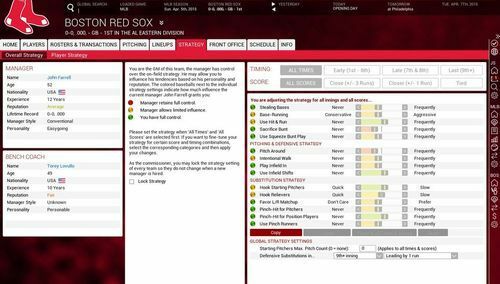 The license from MLB Advanced Media provides for use of the official names and logos for MLB, the American League and National League, Minor League Baseball and all its leagues, all historical MLB teams, all 30 current MLB clubs, and all current minor league teams. Previous Out of the Park Baseball titles have included names of MLB players — an analog is fantasy sports websites, which don’t have to license player names — but they’ve never included MLB branding or the actual teams. A representative for Out of the Park Developments confirmed that the studio has no license agreement with the Major League Baseball Players Association, which covers the rights for player names and likenesses in video games like Sony’s MLB The Show series. Out of the Park Developments also confirmed that the license agreement covers the studio’s mobile series, iOOTP Baseball, which is being renamed MLB Manager. This year’s entry in the franchise will be released on Android as well as iOS for the first time. 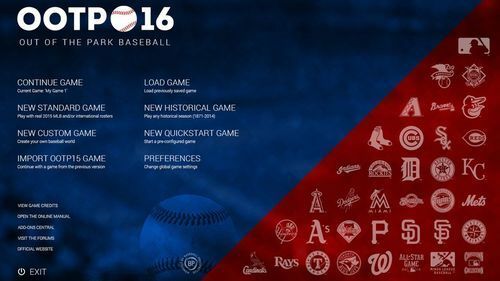 Out of the Park Baseball 16 will be available in March on Linux, Mac and Windows PC. Interested parties can pre-order the PC/Mac versions here, and the Linux version here. Out of the Park Developments is offering a 12.5 percent discount off the retail price for pre-orders from now through Feb. 16, charging $34.99 instead of $39.99. Pre-order customers will receive a DRM-free download, plus a Steam key that will be redeemable once the game hits Steam (which will be “shortly” after the initial launch). They’ll also get access three days prior to the release date.